Our focus at the initial stages is to understand your organisation, how you work, the range of people you want to fit out, what you want to achieve and your budget requirements. Then we explain our structure and start talking about the options that could best suit your requirements. Once a decision is made our experienced sales and design team can develop a complete new story or build on existing styles and fabrics. For new developments we can offer conceptual artwork and then a final design board that can show the complete story of your new range. This is the exciting part! 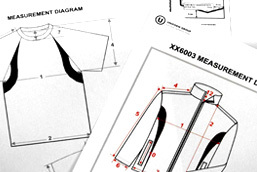 This is an important part of the jig saw when decisions must be made on styles, fabrics, branding and delivery times so we can then move into setting up specifications for making final samples and organising the factories who make our fabrics and garments. It is the important planning time. 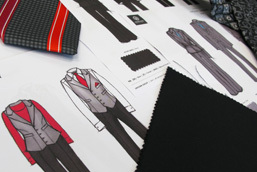 At this stage we have presented to you actual samples or the closest we can do in style, fabric and branding. 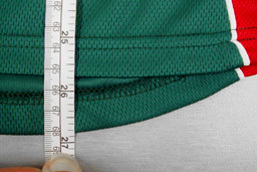 This is a critical time where all the finer details of the garment are confirmed and signed off with you so we can update our specifications for production records and all future orders. This means we have received your order and the factory prepares to ‘put it into make’. 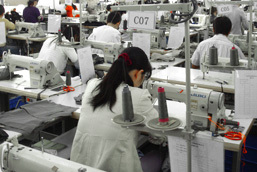 Our factory will make a Pre-Production sample garment for us to check off and this is when you may see for the first time your new garment in your new fabric. It is the last check off point before your complete order is made. If for some reason the Pre-Production sample requires changes or modifications we then revisit the specifications and this generally means another Pre-Production sample has to be made. It is best to have made all the final decisions prior to this otherwise it could delay the timely delivery of your order. 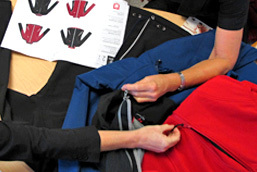 This is when garments are being made because all the specifications and decisions have been made and signed off. We are in constant contact with our international factories working through our planning schedules during this time. We are always working in advance monitoring shipping dates at the same time too. The goods arrive into our warehouse where our staff will count in the product and our production team will take random garments from the bulk and quality check them against the signed off Pre-Production sample. 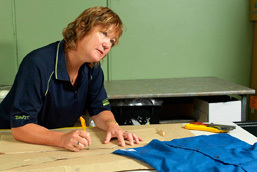 Before the goods can be released the production team has to give the QC ‘tick off’. Once the warehouse staff have the QC ‘tick off’ they then revert to their Order Reports and will pick you order according to your delivery instructions. It will be packed up, invoiced, a packing slip goes with the consignment and then entered into our delivery track and trace system. Your order is now on its way to your specified delivery address.